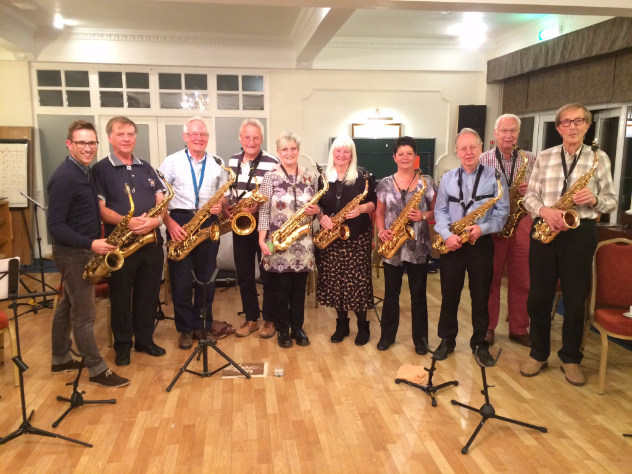 As a qualified saxophone teacher with an Enhanced DBS Certificate, I work with students of all ages and currently have a number of school-aged pupils as well as mature students on my books. I aim to develop your reading skills and theory knowledge through pieces of music that you enjoy playing ensuring that everyone is approached in a unique way rather than just following a set pattern of pieces. Improvisation is studied if and when you feel ready and I do this using a variety of musical genres including jazz, blues and pop. If you would like to work towards exams, I use both the Trinity and ABRSM exam boards and will do either the jazz or traditional syllabus, depending on your interests and skills. All lessons take place in your own home and I charge £30 per hour so do contact me for availability around the Salisbury area. I also lead the Swingin’ Saxophones residential course for HF Holidays which gives players of all abilities the opportunity to join an ensemble. Featuring jazz and pop tunes that I arrange especially for the group, we work towards an informal concert on the final night of the holiday - head to www.hfholidays.co.uk for more information.